← Celebrating our 8th Anniversary! 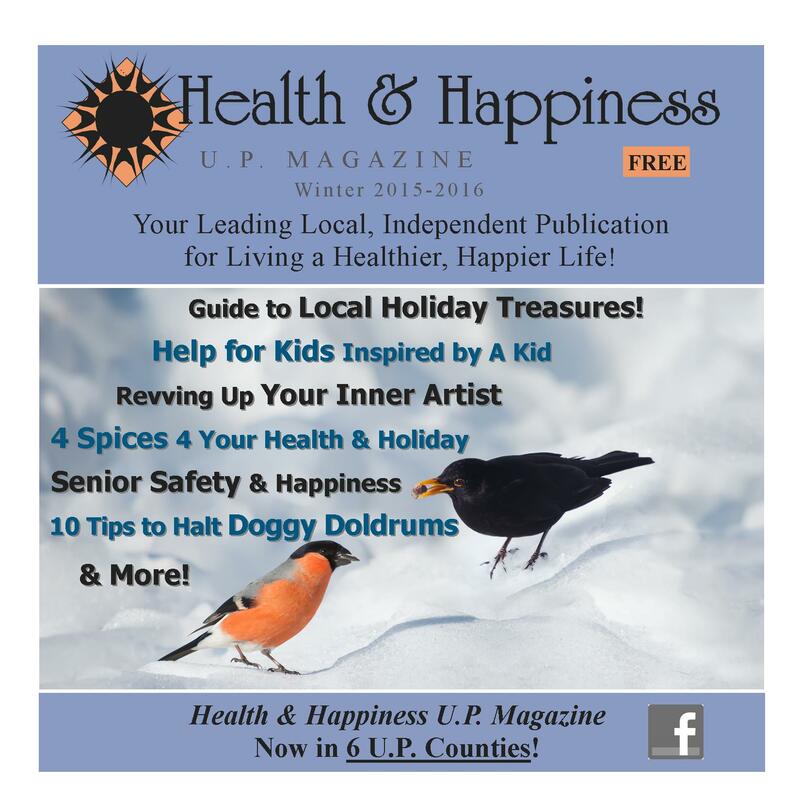 9,000 copies of Health & Happiness u.p. Magazine’s Winter 2015-16 issue are now being distributed throughout 6 U.P. counties! Click here to find out where you can pick up a copy near you, and find out which organization is the recipient of our 2015 Donation, how to Survive Your Winter, Spice Up Your Health & Holidays, Prevent Doggy Doldrums, Gift Yourself Forgiveness and much more!